If you’ve been reading my blog at all, I feel that I owe you an explanation . . . about the rather unusual name of my website. You’ve maybe picked up on the fact that my family of origin (e.g. the Youngs) frown on crude or poor language of any kind. Perhaps you’ve even heard me refer to the words we had to make up, as children, because so many words were forbidden in our house. “Vomiting” could be perceived by some as a crude word, if not a crude activity. So here the introduction ends and the explanation begins. Last summer I noticed that one of our hens, “Nelly” by name, a lovely blue and brown Ameraucana, developed an unusually large crop. She was off-balance. As you probably already know, if you’re a chicken person (and you probably are, if you’re looking at this page) chickens possess a muscular pouch along the esophagus (charmingly spelled “oesophagus” in Britain, by the way) called the ‘crop’. It is a valuable little organ which serves to soften food and regulate its flow through the system by storing it temporarily. This organ seems to work to compensate for the fact that God did not choose to give chickens teeth. Poor Nelly reminded me of a top-heavy woman when she scooted about, the swollen crop swaying in a disturbing manner. Her spirits seemed to be good, however. 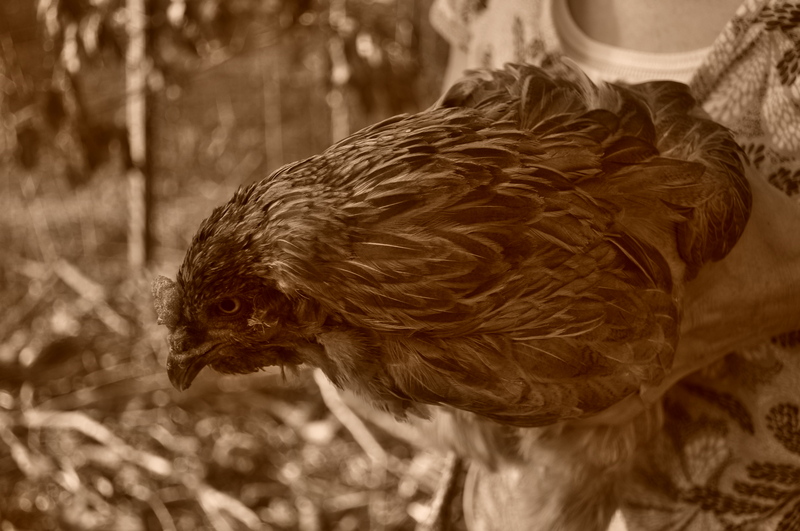 She was perky and energetic, amazingly, darting about after bugs and competing with the other chickens for scraps. It was a bit disconcerting to watch her, however. I pondered. What could I do? Should I do something? Was there anything that could be done? Perhaps it was a problem that would take care of itself, I thought, squeamish coward that I am, so I decided to just watch her closely for a few days. So, I watched her. 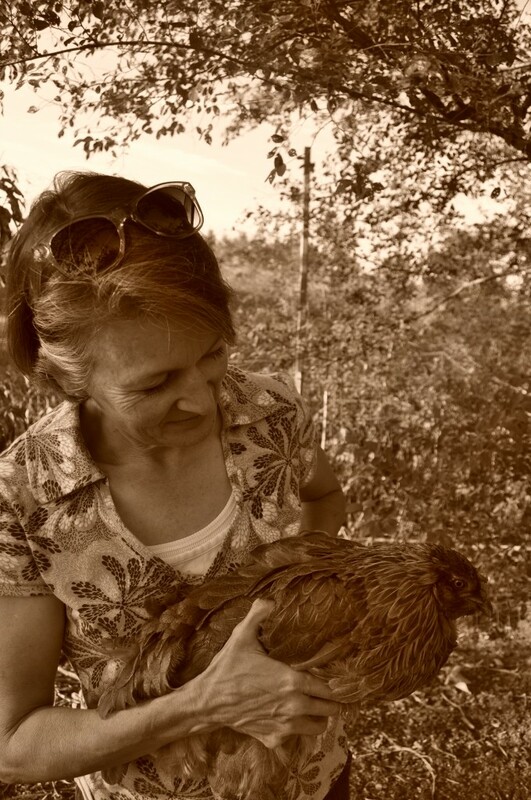 I saw that she would lumber out of the coop in the mornings to eat and drink and scuttle about with the other chickens as if everything was hunky-dory, not at all like she was carrying what amounted to a largish softball in her chest cavity. She seemed a tad reflective. There didn’t appear to be any self-pity involved, any rancor or bitterness or the using of this trial as an excuse to treat her fellows with meanness. I decided that I did, indeed, need to do something. Of course my first line of research is to call my dad. 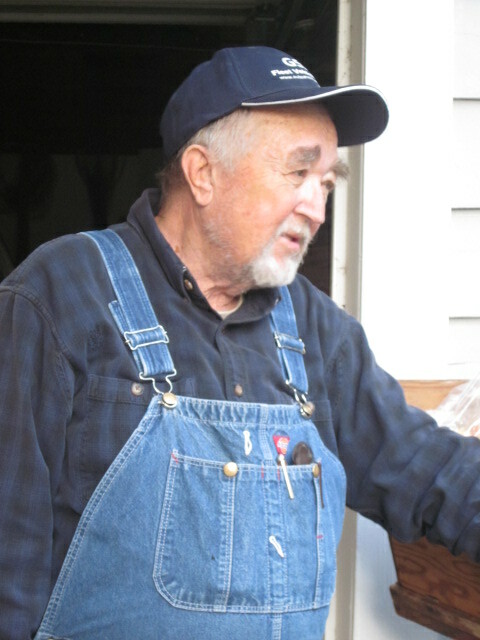 Dad is a farm boy and knows a lot about everything. I never know the difference between what topics he’s actually an expert on, and what he might just make up to satisfy me, because he always sounds so grave and intellectual. Dad is a man of many gifts with an encyclopedic memory, and I knew he’d know how to fix my Nelly. Moreover, I knew he’d be empathetic and understanding, since I’m pretty sure that I inherited my painfully tender heart where animals are concerned from him. Dialing the phone, I imagined in a rush of affection that my dear ole’ dad would in all certainty rush out to cure my suffering chicken right then and there. Dad has swooped in many times over the years at times of crisis, to make everything right. I knew this would be one of those times. Well! So much for fatherly empathy and understanding. “Dad. It’s Nelly, not some superfluous rooster. I don’t really want to butcher her,” I countered, much as the thought of chicken and noodles, to be honest, gave me pause. Mom does make the very best noodles. They are tender, yet chewy. They plump up in the broth so nicely. ( posted the recipe, by the way, right here, if you’re interested.) Oh! And she has perfected a chicken stock recipe so delicious that I will devote much of a day to making it, just to have the most delicious chicken stock you can imagine, in my freezer at all times. It’s that good. Anyway–I had been so preoccupied by this bulging crop problem that I hadn’t cooked anything more complicated than boxed macaroni and cheese for a good two or three days, and I was hungry. Nelly, though, was one of my favorite hens, a good layer of bluish eggs, to boot. I really didn’t want to give up on her without some effort, my gnawingly-hungry stomach notwithstanding. So, trying to forget Mom’s homemade noodles, plump and squishy and steamy hot in their aromatic stock, surrounded by hearty chunks of chicken meat—I’m drooling–onward and upward I went, to my next line of research: Google. I don’t often ignore the wisdom of Dad, but this time, Nelly’s life was at stake. Literally. I dived in to “chicken crop problems” and immersed myself in reading about shared experiences and wacky hypotheses and bizarre chicken-crop-problem anecnotes that left me eventually bobbing to the surface, gasping for breath. I was aghast, Gentle Reader, to find hundreds of entries about crop problems in chickens! (I didn’t read them all.) Who knew the crop was such a ailment-prone organ! I was astonished to read of people who spent hundreds of dollars (yes, hundreds) on vet bills for their pet chicken with the crop problem, only to have it die, anyway. I read about complicated recipes (always including, but not limited to, raw organic honey and Greek “yoghurt” and pure castor oil) that people recommended, along with tedious directions on how to feed this mixture to the chicken, with an eyedropper, several times an hour. For days . . . on . . . end. Why did this bother me, you might ask, and well that you should Here’s a fact, dear reader: chickens are like pigs, in that they will eat anything. Not many people know this. I’ve seen hens gobble down moldy bread with relish, grab a live mouse and fight over it, eating it alive, and much, much worse. So why in the name of all that’s logical and sane would a chicken need to eat only organic honey?! Or honey at all, for that matter? Or expensive “yoghurt.” I began to wonder at the sanity of chicken owners (myself excepted, naturally). One website asserted that the only way to really understand Sour Crop, another “frightening disorder,” was to “pretend, for a moment, that you are a chicken.” Another one explained in detail how to make a chicken vomit. (Being prone to car sickness since I was a baby, not to mention staggering through six nausea-filled pregnancies, I’ve had more experience with vomit than I’ll ever want to admit. I wasn’t going there, I decided. I also found detailed instructions (with pictures!) on how to do crop surgery on a hen, with the assurance that chickens, after all, have “amazing healing capacity,” and that it was notably cheaper than taking the afflicted bird to the vet. That was intriguing . . . I’ve always been the sort of person who was happy to be asked to pull a tooth, or extricate a sliver . . . maybe this wouldn’t be that much different? Nah. I finally went on a short walk to clear my head. While out, I spotted Nelly, and guilt washed over me. Poor thing! Here she was, giving her all, laying those beautiful eggs day after day and I couldn’t be bothered to take care of something as simple as an impacted crop, merely because I happened to be a bit squeamish about vomit. I like this shot my daughter Amalia took. I’m trying to keep ahold of Nelly while little Mack reassures her. For Pete’s sake–she had been suffering for several days by now. She was a noble chicken with excellent character. She deserved better. Then and there I decided that it was time: something had to be done. Her corpulence was, in fact, alarming. But what, from all the remedies that I had read about, should I do? Diagnosis was an important first step, so I carefully caught Nelly and palpated the lump. From what I had read, it could be impacted grain, or impacted hay and grass, and the latter was by far the more complicated problem. Hmmm . . . Nelly seemed to have impacted grain and hay and probably grass, too, as far as I could tell. I could feel clearly the contents of the crop through the skin, stretched tight as a drum. Nelly. 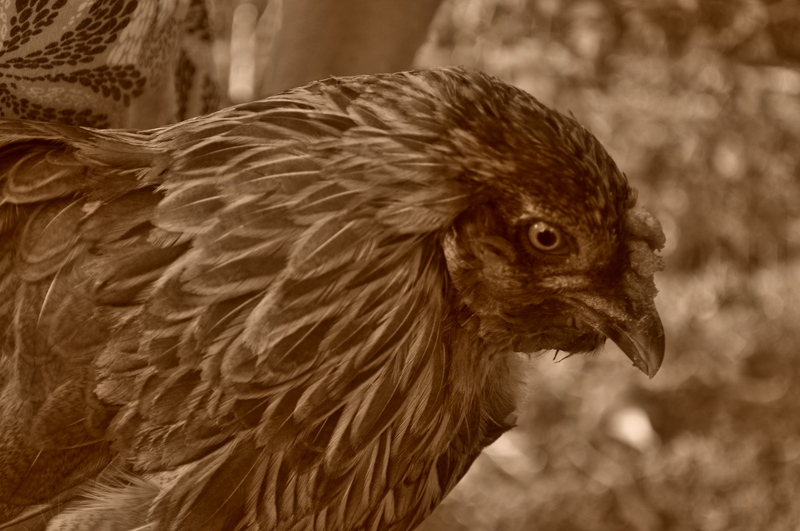 The noble, longsuffering hen. Actually, looking kind of angry here. The surgery was by far the last course of action that I would have chosen, and I sure wasn’t going to pour any of our raw organic honey down Nelly’s throat, and for Pete’s sake I didn’t even buy pricey Greek “yoghurt” for my own kids. I certainly was not going to buy it for my chicken. Much as I liked Nelly, I wasn’t that far gone. And pretending to be a chicken? C’mon. It seemed to me that the easiest course of action might be to go in for the vomit. So I took a deep breath, braced my feet, and . . . trying to recall the articles I had perused on the subject, positioned Nelly with her head downwards. She relaxed a little, and stopped trying to kill me, being in this vulnerable position. Honestly, I think she decided that it was the homemade noodles for her and resigned herself to her fate. I prayed for gravity to take effect, as I began to massage the crop, gingerly at first, and then a bit more vigorously. I did get a few coughs out of her, and then as she shook her head in distaste, and splattered spittle out onto my hands and arms and jeans, I thought I could detect a “foul odour” on her breath. Hmm. . . could it be the dreaded sour crop? She started flailing and squawking wildly by this time, though, which made the crop-massaging pretty difficult. I was using, roughly, 90% of my energy on chicken-restraining, and only about 10% on crop-massaging and vomit-encouraging. Nelly did spit up a little grain, and some water, but I wouldn’t say that it was a satisfying experience for either of us. Not like it would have been, say, if she’d really just upchucked all over the place, and then hopped down, crop nice and flat and smallish again, as it was meant to be, and cheerfully joined her friends in the grass for her evening salad, winking her thanks to me–her selfless benefactress–and maybe even laying an extra blue egg of gratitude. But no. I continued to massage, trying to be as gentle as possible. I was afraid that more vigorous massaging might lead to crop-puncture or one of the myriad problems I’d read about during my internet search. But was I being too gentle? I was so intent on my work that I didn’t even hear my daughter Amalia walk across the yard to my side, and I jumped when she spoke. “What are you doing to that chicken?” she asked, her blue eyes open wide. “Trying to make her vomit,” I muttered. I managed a brave grin of sorts, through the hair that had fallen in my face. I must have looked every bit of a maniacal lunatic, disguised as her mother. 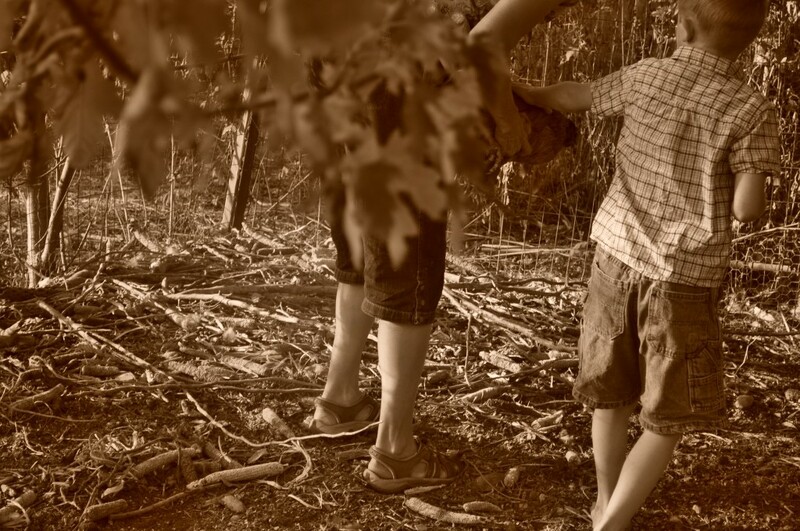 Without a word, my daughter turned and walked stiffly back to the house. Probably she was practicing what she was going to say when she made the ‘phone call to her dad to inform him that his lunatic wife was out in the yard, trying to make a chicken vomit. Their lives would never be the same, after I was hauled off to the asylum. What would all her friends say, she wondered, dully, as she stumped back to the house. I repeated this little procedure a few times over the next couple of days, convinced that it was, after all, doing some good. Nelly started to run when she saw me coming–away from me, that is, not towards me. Happily, she did recover. She’s still a little on the stout side, but I never did have to resort to taking her to the vet, performing at-home surgery, pretending that I was a chicken, or feeding her with an eyedropper ‘round the clock. Not that I actually would have done any of those things. So now you know, Gentle Reader, if you made it to the end of this long and rambling tale–why the . . . um . . . strange name of my blog. It was a memorable moment, trying to make my chicken vomit, and I’ve still got the chicken, Nelly, to prove it. Hahahah! Best post yet, Sister! I laughed out loud at the bit about Dad cheerfully imagining soup! hahahahaha. Love it. Thanks for being such an encourager, sister! I agree, best post yet! I don’t remember this at all though! I wish I did. . .
Amalia, I can’t believe you don’t remember this! You probably blocked the entire episode; you were perhaps traumatized by it. I can show you the exact spot where I was when you walked up to me and asked what I was doing, if you’re interested! I loved this – it made me laugh at the image of your dad salivating over the thought of chicken soup. Poor little Nelly! I’m glad she’s feeling better now – and from the sound of it, you certainly did the right thing in trying to get her to vomit up the stuff that wasn’t where it should be. Thanks for taking the time to read it, Rose! LOL, you are so gifted both in chicken vomiting & writing. I always enjoy your posts. And truly I have wondered about your name but I thought to each their own. So was polite and never asked. Thanks for answering the question. Shawn, you have such good manners, never to ask even when you were curious! Maybe I should add “Chicken Vomiter” to my creds? Marvellous! I’d always wondered…..and HUZZAH for Nelly! The blog’s name most certainly caught *my* eye, and I found the contents had a smile at life style I had hoped to get from the title. I had assumed it was to do with your actual chickens, and it’s interesting to get the full story. Plus, I now have new skill knowledge to add to my CV! Hilarious – my daughter wants chickens, but I know who would have to care for them. Anyway we can’t have them in the city – so I will never be subjected to this, hopefully!! Since, Nelly is one of many… How many repeat therapies have you attempted? No apologies necessary, Suerae! I’d be at the vet with Nelly, too, if I only had a scant two or three chickens, but with 40–50, I have to figure out how to do the vetwork on my own. Thanks for your comment! I had wondered about your blog name too! I was curious why the site had this name. Great way to let us all know! I’m also thrilled that Nelly is alive. I was so hoping it ended well:) Enjoyed the photos too! I used to own chickens, pre-Internet. I’m sorry but I was laughing my head off, now that I was finally reading the origin story of your blog’s title. I would have done that for a favorite chicken, I’m guessing. On the other hand, I never would have tried to sniff a chicken’s breath. I don’t think the local general store sold either organic honey or yoghurt, so I would have been in the same quandary as you were. Alana, never say never!! haha! Thanks for your comment! Oh how I wish Bryan’s grandma Black could have known you & enjoyed all your varied interest & stories. Our mother was so into finding answers & taking care of things on the farm much like you. I have a good picture of Bryan & our Genevieve with their grandma when they were babies. I’ll try to bring it to Nebraska next month when we come to Round-up. You’re TOPS in my book—Bryan did a good job in choosing a good NB girl! Aunt Grace, you are so sweet. I would have loved to have known Bryan’s grandma Black. I’ve always been attracted to farm life. It’s endlessly entertaining to me. Thanks for your kind words and I’ll look forward to seeing you next month! Yay!! Neither will I criticize those of you who might be lunatics. It’s a free country. I am laughing so hard I’m crying! That is awesome! Great post! Thanks Teressa. I really love it when I have made somebody laugh. Not gonna look at chicken the same way … ever again. haha, Linda Ann! Thanks for the comment! This cracked me up! Thanks for the great read! COFFEE always makes mine, Tony! Thank you for your kind words.